Oracle Solaris 11.2 is a complete, integrated platform, combining OpenStack, software-defined networking, and built-in virtualization with a proven enterprise-class operating system. Robust platform for managing operations, databases, applications, information security, excellent performance in virtualization to manage several technological systems individually. The ideal is to use within a SUN full environment, in my experience in administration of this technology, SPARCS S7-2 management, great performance in terms of database management, in addition to the above, we combine with a SUN Storage for more power in terms of storage, order and control of the different database environments and applications used. Regarding the management of the syntax, it is a more UNIX distribution, with some exclusive operating system sentences such as file management through ZFS. In general, like any operating system, keep up with the new updates for the solution of bugs. In my experience, once for lack of an update patch, handling the concept of virtualization (ldom primary - ldom guest), due to a bug, the communication between the main ldom and the ldom guests was lost, making a large part of the administration and important tasks with the "ldom" command. Excellent platform, robust for any type of administration, it is necessary to document and carry out courses for the correct management of it. We optimize the performance, management and control of our database systems, application server, in general terms, the business core of our organization. We incorporate SUN technology, servers and storage to support the performance and redundancy of our technological solution. "For non-stop, mission critical, on-premise infrastructure - Solaris is still king in the enterprise." In a nutshell, ZFS is often the reason that we select Solaris to deploy in the enterprise, even in heterogeneous environments where numerous Linux and BSD machinery is running, the advantages of making storage facilities available that incorporates the snapshotting features of Oracle Solaris is compelling, even in a landscape where Btrfs is increasingly common under Linux. In conjunction with the marriage of Oracle hardware that never needs to be downed for the replacement of memory, CPUs, etc., Solaris offers metrics of uptime in the data center that exceeds most other Unices by virtue of being able to continue operating even during bare metal upgrades and maintenance. With respect to the native file system ZFS, yes, it is available for Linux, but due to Oracle's licensing restrictions, the way most enterprises choose to deploy it is in user space using FUSE, since it can't by default be *distributed* with out of the box support in Linux. That, and the fact that Btrfs is now considered stable and production ready (as evidenced by SuSE's adoption of it as the default FS which began with SLES), the deployment of snapshot on write filesystems is still primarily dominated by Linux in the enterprise. One also has to bear in mind that even going back to earlier versions of SunOS, Solaris is a bit of a different creature so there is a learning curve to performing the same systems administration functions in Solaris (i.e., "ps -e") as opposed to the way most Linux admins are used to with Bash. This necessitates addtional thought and preparation of cross-compatibility when deploying shell scripts within environments that incorporate a mixture of BSD, Linux, and Solaris operating systems on their machinery. Make sure you know why you want to adopt this 'particular' UNIX - If you don't know why you want or need Solaris, then you're probably better off deciding upon one of the xBSDs or a Linux distro. One particular plus (or minus, depending upon your perspective), is that there is a certain level of vendor lock-in - customers can't just call up a fledgling IT support company down the street. To a certain degree, this is even more pronounced with the plethora of mediocre, so-called MSPs that can only tend to Windows environments, or only feel comfortable trying to manage UNIX machines from a GUI. We often find that our new customers come to us out of frustration of having these sometimes less than competent providers tend to their IT needs, and when serious computing requirements are involved, realize that spending more on an hourly basis actually translates to an even greater return on their investment where ROI is concerned. I Have Consolidated Big Environments Into Just A Few Hosts. Valuable Features: Undoubtedly, Solaris is a very stable, extremely fast, and secure operating system. Backwards Compatibility And Stability Are The Most Valuable Features.Valuable Features: Backwards compatibility and stability are the most valuable features. It provides excellent security, and cool deduplication, compression, encryption and recovery capabilities. Price of the software solution will be your main reason for picking this over other Unix/Linux based solutions with their pay as you go Cloud solution stands out over the current AWS standard. Filesystem of 128 bits that allows storage of 256 trillion zetta bytes. It's metadata are assigned dynamically, so it's not necessary to assign nodes beforehand or to limit the filesystem scalability when it's created. "Oracle OS - Redhat but redder"
This runs the redhat Kernel - therefore its widely compatible with anything that runs on redhat - they do their own interpretation of the kernel, or you can just straight up use the redhat one as far as I can tell. The integration between the OS and the Oracle Database management software is as you would expect being as though it is from the same company. A number of our large telecoms customers operate with this as their day to day administration software platform and are really pleased with it. If you submit a bug to Oracle, Oracle must then submit a bug report to redhat, redhat will then fix the bug, publish the fix, Oracle then takes the fix, runs it's own tests (and I'm sure edits it a bit to fit in with it's surrounding software) before fixing the the bug for the customer. If you were running and paying for the redhat service this gets simplified to: submit bug, bug fix, patch to os, so you generally find that fixing core things in Oracle OS takes a bit longer. In my experience actually finding the image for download was a pain, having to actual sin up to Oracle's cloud in order to get the free iso. I guess the keyword is "free", but giving my company details away doesn't feel free. "Old tool with lots of changes"
First of all it struck me that it is free available for non-commercial use and this was a big like from me. Text install is very similar with old Solaris install, it even have the same color scheme and "F2_Continue" shortcuts. The boot menu (grub) lets you choose between install over a local terminal or serial ports, I was pleased to see that compared to the horrors of past Solaris releases, a NMAP run against a newly installed system that shows minimal ports open, just SSH and port mapper. There are also massive changes to how configuration is now handled in Solaris. The desktop looks quite sharp and slick and i don't find it annoying at all. One of the noticeable improvements in Solaris is the package manager. The ZFS Time Slider has also made its way into Solaris, another first-in-OpenSolaris feature. Time slider does automatic ZFS snapshots and allows easily rolling back files to later dates. IP and data-link configuration is the obvious area in which the old methods were rapidly becoming clunky and difficult to manage; dladm and ipadm provide a much more consistent and powerful toolset. You will have to invest several days in searching relating documentation and read it. The loss of individual configuration files and the traditional "unix-way" of doing things. Also let's not forget the licensing changes and the fact that Oracle have pretty much managed to kill off the community around OpenSolaris I don't see it winning many converts from established Linux shops. For old users of solaris you will find a lot of improvements and i think you will be satisfied with it. As for new users actually I don't know any new user that use solaris, they look for more fancy stuff, which I will not give as examples in here. But at least you should give it a try and see something old adapting to new times. I have had installed it on some VM's and used it as test bed for some Oracle DB's. I have to admit they worked great and I think oracle made a good thing with this product a an overall. Oracle Solaris Operating System is a very powerful OS. We have used it since a very early version of Solaris 7. With each higher and newer OS, it is always 100 backward compatible. The latest OS now is Solaris 11. It runs great, and the security, recommended, and cluster patches come out quarterly. It seems like Oracle is getting out of developing Oracle Solaris OS. 2031 is probably the last year they maintain it, and with 2034 would be the last year for support. It would be interesting to see if it becomes a free community OS support or some vendor would pick it up. We run all Oralce databases on Oracle Solaris OS. They are very secured and stable OS. "Stable and easy to use and virtualize"
Using LDoms and Solaris Zones you can virtualize very easy. The powerful ZFS filesystems is easy to use. Failback back after upgrade is provided by BootEnvironments. Oracle wastet time with OpenStack, which is now removed since Solaris 11.4 (August 2018). Oracle Solaris is the OS for large Enterprises with longterm investements. It offers high performance and reliabilty for business critical apps. "A very good UNIX variance with hardware backup from Oracle"
Streamlined OS as Oracle now also doing the hardware as well. Very good scalability and support various workstation, including x86, x86-64 and Sparc based. Continuous support and developement from Oracle and also Oracle's still investing in hardware - Sparc based work station for even better performance. The UI looks outdated compare to windows. Almost all actions on UNIX based OS require commands instead of visual elements so it's quite hard for new users to get into it. I wish UI can be improved. It's a little outdated and also I wish there could be more training for new users as UNIX based OS are mostly command based instead of UI. It's easily scalable so you have less to worry regarding upgrade and improving performance. There are many features to Oracle, and I find the program's easy to navigate. I used Oracle with two separate clients, and each time we were able to customize it for each client, even though they were completely different fields (retail, education.) While the bones of the program were the same, the functions were able to be specialized for each. I sometimes find that it's glitchy or crashes when I've been using it for too long and there's a build up of cache. I did, on more than a few occasions, have to uninstall the product and reinstall if there was too many issues with it that couldn't be remedied by just starting and restarting the program. My recommendation would be to familiarize yourself with the Oracle product thoroughly, and to play around with the product for a while before implementing it with your clients. I use oracle as a client relations manager and to log contacts with clients. I've realized it's easier to track call drivers and reasons for contact. "An OS especially for Oracle DB "
I have used oracle solaris especially for oracle db , both for production and test environment. and I was amazed for its hardware utilization capabilities. It has also many inbuilt features for databases and application servers. like IPS, which make installation/ updates/maintain very easy. ZFS (z file system )for taking snapshots/roolback, add/remove storage and like many more great features . there are so many inbuilt packages which makes installation size bigger. Any Company who uses Oracle DB should use. we are using it for running Oracle DB especially. I like how simple Oracle Solaris is. It is built to hold files and scripts and does not have extra unnecessary features that could slow down the server or the processes. Oracle Solaris does seem a little outdated compared to other technologies out there. However, the product does exactly what it's supposed to in terms of Server usage and capability. Oracle Solaris is a secure and reliable server to hold files and data. We use Solaris in our three tier architecture. All files coming in from trading partners is stored in Solaris. It finally now has a decent gui with Solaris 11. Many many different repositories to choose from for opensource packages. Not enough help on google for issues, as it is a licensed product. Oracle support is not helpful without warranty. If your company can not pay for support, then do no get solaris. Many many better solaris products out there. Solaris is by far the worst unix os. Assisting oracle users who won't move away from this old legacy operating system. Ease of use for all users. We find it exceptional. Not applicable. We love the product for our use. System is not overly user friendly. It takes a lot of time to really learn how to navigate within Oracle. It is a nice way to access many different fields of data within the company. All information can be consolidated to a single portal rather than multiple portals of information. We used Solaris to deploy our database system and for most part we never had issues with the OS or performance of the database. Solaris also had good security and regular patches and supported virtualization. The software is expensive when you run on non Oracle based systems so we used other flavors on our regular hardware. We wanted a stable system for our database and had Sun hardware which came with Solaris. This bought together Oracle hardware and software that worked cohesively. What I like about this product is the ease of usage. So far I don't have anything that I don't like. Since we are using Oracle database, it works well together. * We monitor all Oracle Solaris reviews to prevent fraudulent reviews and keep review quality high. We do not post reviews by company employees or direct competitors. Validated reviews require the user to submit a screenshot of the product containing their user ID, in order to verify a user is an actual user of the product. Hi there! 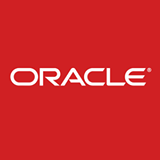 Are you looking to implement a solution like Oracle Solaris?